If you are experiencing difficulty accessing content on this site, please do not hesitate to contact 877-MY-METRO (877-696-3876). We will work with you to ensure that you have access to the publicly available content on the site. Metro Credit Union is committed to providing a website that is as accessible as our branches. We have implemented the recommendations of the Web Content Accessibility Guidelines (WCAG) as published by the Web Accessibility Initiative (WAI) of the World Wide Web Consortium (W3C.) There is no definitive test nor certification of conformance to Level AA of the WCAG but we have used a variety of methods for assessing accessibility. If you find a part of the site that you feel does not conform to Level AA of the WCAG, please use one of the methods below to let us know so that we can rectify it. 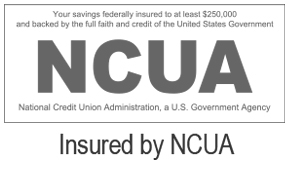 Metro Credit Union has used WCAG guidelines for compliance as suggested by the Department of Justice. Though some of the compliance found in WCAG conforms with 508 Compliance, we are not 508 Compliant. Metro Credit Union chose to use WCAG for compliance because they are determined by the W3C, the consortium that makes all guidelines for the Internet, worldwide.